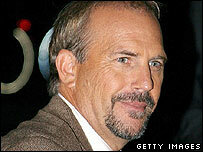 Actor Kevin Costner is returning to court in a renewed bid to take sole ownership of a US casino. Costner is asking the South Dakota Supreme Court to re-examine a ruling forcing him to pay $6.1m (£3.2m) to buy out his two business partners. The Oscar-winning director fired Francis and Carla Caneva, who managed the Midnight Star, in July 2004. The casino is located in South Dakota's Black Hills, where Costner filmed much of his 1990 film Dances With Wolves. The actor hired an accountant to determine the market value of the casino, which was put at $3.1m (£1.64m), in order for him to dissolve the partnership. But a manager of another casino in the town of Deadwood testified on behalf of the Canevas that he would pay twice that for Midnight Star. The judge agreed with the figure of $6.2m (£3.29m) and ordered Costner, who owns 93.5% of the casino, to pay the full price or it would be put up for sale on the open market. Costner's grounds for appealing against the decision are that the casino's value was set without any reference to financial documents.